Celebrate Goku with volume 7 of the Dragon Ball Goku Fes! 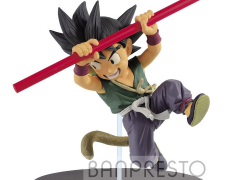 figure series! These figurines were sculpted by Hiroyuki Nakazawa and come pre-painted with stands for display. 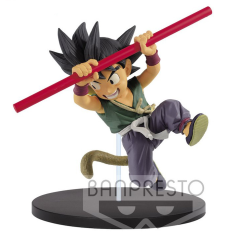 Goku looks ready for a fight while still having all of his characteristic charm, Don't miss adding him to your Dragon Ball collection today!